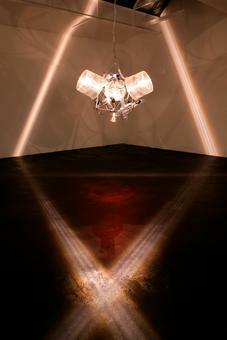 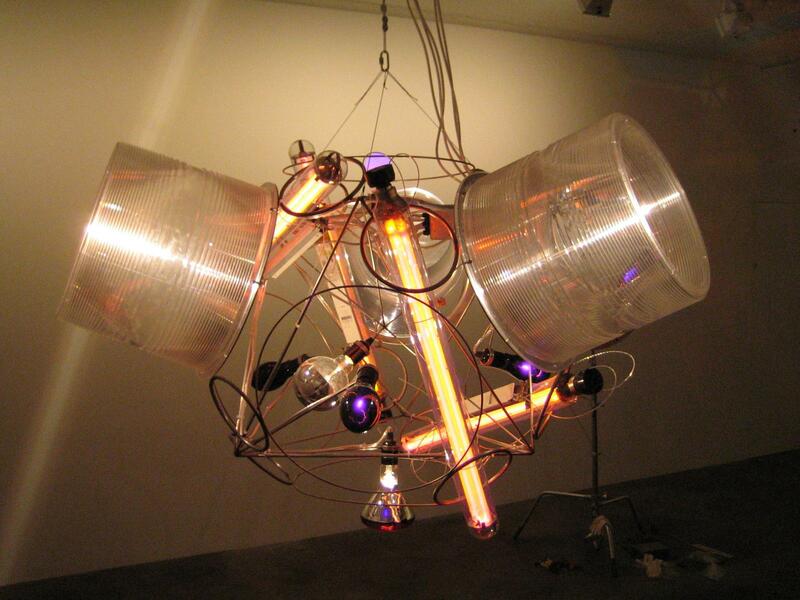 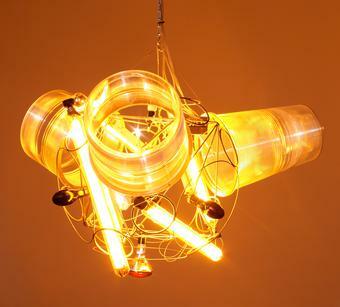 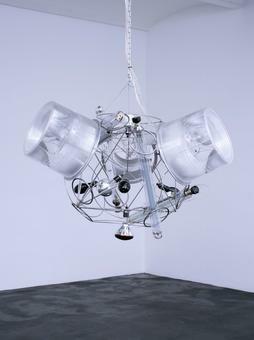 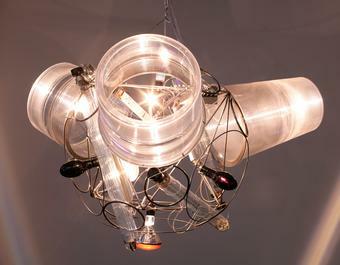 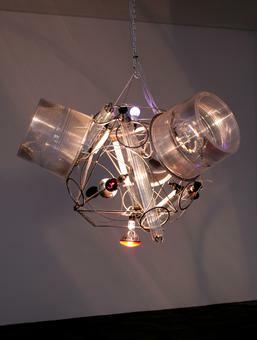 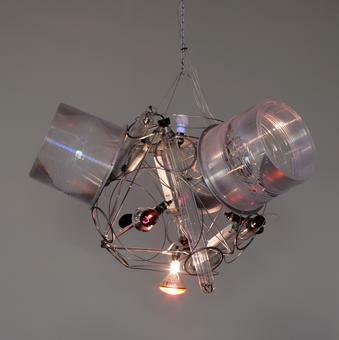 This artwork consists of several types of light, produced by multicoloured, ultraviolet, infrared, monofrequency, and halogen bulbs, the latter refracted through fresnel lenses. 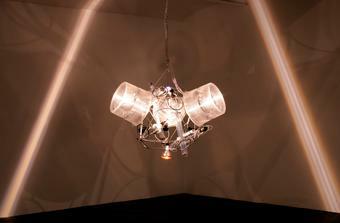 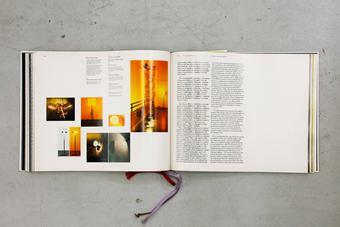 Each can be varied to create different light intensities. 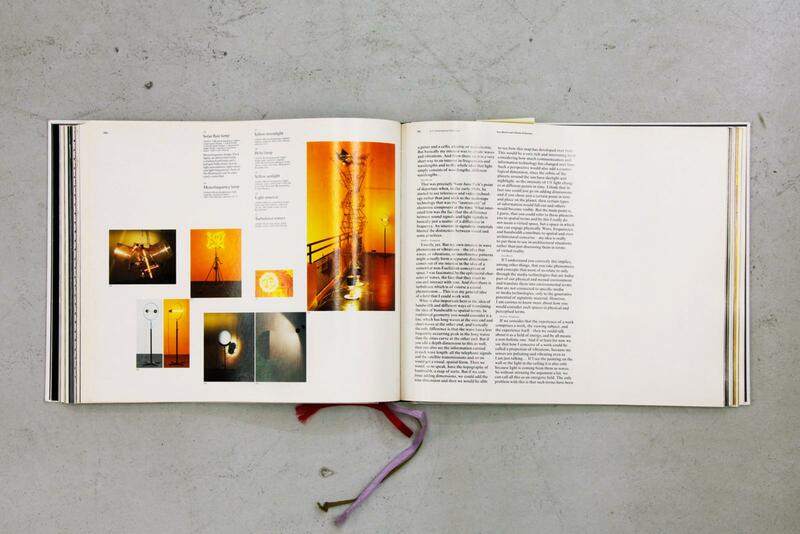 The monofrequency lights emit a bright yellow hue that reduces all visible colours to the yellow frequency, making the surroundings appear in the duotone black and yellow.